A select number of profiles of communities SPC has worked with are detailed in: Assessing Impact: Select 2009-10 Community Profiles. 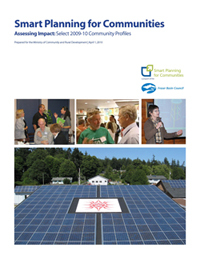 The report provides 10 profiles of BC communities and the support and assistance provided to them by the Smart Planning for Communities program (SPC). While not a comprehensive evaluation of program impact, the report is intended to provide examples of both the qualitative and quantitative aspects of program delivery and insight into the relationships SPC builds with local and First Nations governments. The resulting Community Energy and Emissions Reduction Strategy will enhance Langford as a place to live, work and invest. 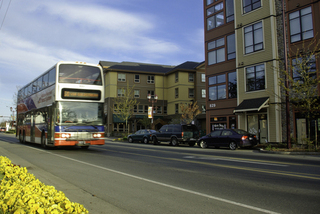 Langford was formerly perceived as a less desirable “suburb” within greater Victoria. The workshops and Strategy jointly facilitated by SPC reinforce and enhance Langford’s remarkable progress in its transition to a complete, compact community. The Strategy identifies 10, 20 and 30-year community energy and greenhouse gas emissions reductions targets, and Langford’s green action initiatives to achieve them. The City is working on an amending bylaw to include these reduction targets, policies and actions in the Langford Official Community Plan. Implementation plans, public awareness and engagement, and a monitoring and reporting protocol will follow the amendment. 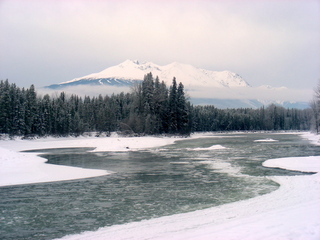 The Village of Telkwa (pop. 1400) is located in northwestern BC on Highway 16, halfway between Prince George and Prince Rupert. Like so many other communities in this region, it faces challenges such as those posed by a rapidly changing global economy, climate change (e.g. mountain pine beetle, flood hazard), and limited financial resources. However, the Village also has many attributes: a gorgeous setting surrounded by mountains, lakes and the Bulkley and Telkwa Rivers; major transportation routes (road, rail); historical buildings and dedicated leaders. SPC staff was invited to meet with staff and several Council members to provide an overview of the SPC program and integrated community sustainability planning (ICSP). A follow‐up session was then organized, for a formal presentation to Mayor and Council to raise awareness and to provide information, as part of their decision making process to conduct ICSP. Once the formal decision was made later that fall, SPC staff assisted staff by reviewing draft versions of the Request for Proposals (RFP). The assistance helped clarify how the results of the ICSP process would be incorporated into updating the Village’s OCP and zoning bylaws, as well as other key documents such as infrastructure (water), economic development and housing. 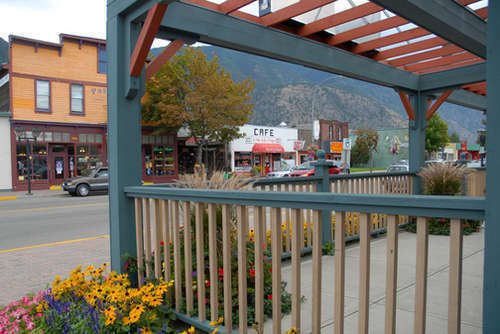 The Regional District of Central Kootenay (RDCK) covers a geographically diverse area from Creston to Nelson, up the Slocan Valley and around to Kaslo. The Regional District is the first in the Kootenays to begin to tackle sustainability planning and had recently commenced their community assessment. They had contracted CTQ Consultants to work with their staff to facilitate the process. SPC staff was asked to support the process by running a Sustainability 101 presentation outlining the concept of sustainability, the process of sustainability planning and examples from around the province. At the core meetings, there were community priority exercices. SPC staff also worked in tandem with staff and consultants presenting information and answering community questions. SPC facilitation provided the RDCK with increased resources for the community assessment process at the public open house and subsequent meetings. The District used the knowledge to complete a Community Assessment, which included sustainability goals. The public and staff increased their knowledge of sustainability planning principles and processes and were able to use this knowledge in their planning process. The Smart Planning program extended public engagement and outreach to very rural areas with information about sustainability planning. These engagement processes increased collaboration between diverse rural areas. SPC continues to act as a mechanism for sharing the RDCK process and successes with other Regional Districts. Common Ground was a unique multi-partner workshop with social and economic development content initiated by SPC and further partnered by IHA, BCRPA and MCRD (see Partners / Collaborators). Attended by participants in the Southern Interior, it brought together economic development officers, administrators and planners from local and First Nations governments, health professionals, and parks and recreation staff. 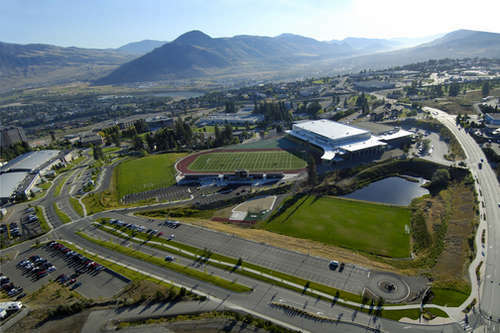 At the event, videoconferencing services were set up in Williams Lake, Kelowna, Kamloops, Nelson and Cranbrook, where participants discussed common goals and challenges to planning for community sustainability. Common Ground provided a platform for 125 people to exchange ideas and develop strategies for local and shared challenges across the Southern Interior and within smaller groups at each site. The videoconferencing component of this workshop contributed to the participation of a greater number of local and first Nations government staff than would otherwise have been able to attend because of limited resources for travel time and cost. The event generated an “ideas and actions” list of ways communities can apply the principles discussed at the event in their communities. The multi-venue, multi-community approach proved to be highly transferable as a method to disseminate information across large areas. 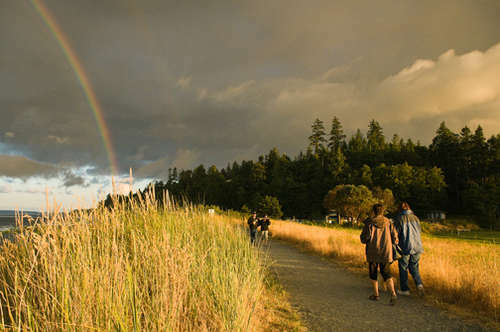 An ongoing partnership with the BC Rural Secretariat will foster collaboration and enhanced methods of program delivery. Regional District Okanagan Similkameen (RDOS), South Okanagan Similkameen Conservation Program (SOSCP), and the Similkameen Valley Planning Society, a unique partnership which includes the municipalities of Keremeos and Princeton, the Lower Similkameen Indian Band, the Upper Similkameen Indian Band and Electoral Areas "B", "G" and "H" of the Regional District Okanagan Similkameen. Completion of a consultant-led amenity migration study will be followed by the development of a socio-cultural, economic and environmental sustainability strategy, and coordinate planning in the region, in partnership between local and First Nations government. regional level. The process has led to broader approach in order to implement all aspects of sustainability. Kaslo is a small village located on the shores of Kootenay Lake. 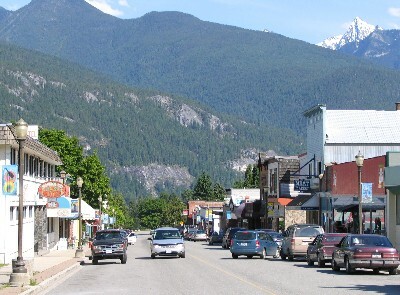 The village of Kaslo is challenged with limited resources and few staff. It was in the middle of an Official Community Plan (OCP) rewrite in 2010. After reviewing the draft they were unsure if the current OCP actually needed major changes. There were also questions about whether many of the items addressed in the draft OCP were more appropriate for an Integrated Community Sustainability Plan (ICSP). Based on these observations Kaslo was considering changing their strategic direction. was clear that Kaslo was not ready to discuss checklists and that they needed help figuring out what Kaslo was going to do with their OCP, ICSP and the proposed capacity building position. Instead of the planned for checklist presentation, SPC staff proposed a daylong workshop with Council, the OCP planning committee and Village staff at the Regional District of Central Kootenay. Develop a path forward for completing both the OCP and an ICSP. original OCP could be retained. Kaslo decided to proceed with an ICSP based on the increased staff, council and committee knowledge of sustainability principles and process, general land use planning and clarity of purpose gained from the Smart Planning assistance. Kaslo staff and elected officials recognized where they could use the information that had already been generated in the OCP review process, and where it needed to be supplemented. Kaslo now had confidence that creating a position to see these projects to completion and build local capacity to implement these plans was a valid step. Staff working on the Village Plan process in part of Electoral Area H first requested a workshop for the public to help them understand how sustainable planning principles could inform a village area plan. SPC staff provided advice on engagement, reaching out to topical specialists (such as economic development specialists and health unit staff). SPC staff then advertised, coordinated and facilitated an evening presentation and workshop. The community identified a need for information about appropriate sewage technology that would support compact development land use forms. SPC staff developed a presentation on that topic and gave it as part of an informational open house held at a later date. SPC staff took part in a one-day design charette to help ensure sustainability planning principles were reflected. SPC advice increased staff and public knowledge of sustainability principles, and of rural area sewage treatment alternatives. SPC services also increased capacity of staff and public to discuss and consider compact landforms in rural areas, benefits of complete communities, and how to seek the appropriate technologies to meet community sustainability goals. The Bowser Village Plan, informed by community participation and direction, now provides clear direction to guide future applications for development, and is a more robust village area plan in terms of ICSP than would have been the case without SPC support. The plan’s first content section outlines six sustainability principles that guide the document. GHG reduction and climate change adaptation and mitigation are specifically mentioned in the introduction section as key goals of the document. Five specific policies related to innovative and "green" wastewater treatments are included, most likely as a direct result of dialogue with, and information provided by SPC staff. RDN staff working on the Official Community Plan review for the area south of the City of Nanaimo (Area A) asked SPC for advice on securing technical guidance for how to meet sewage treatment needs that met community goals related to sustainability principles. Specifically, present conditions and costs of conventional treatment seemed to prohibit Village Centres. SPC provided company names from our resource sharing network; discussed principles and options with staff; made contacts and sought advice from appropriate Provincial government experts; and helped to craft the wording of a Request for Proposals for a study to investigate sewage treatment options. The advice and resources from SPC resulted in an RFP document that reflected social and economic questions related to sewage treatment, and incorporated a broader consideration of environmental protection than has been typical for Area Plan background studies. A triple-bottom-line approach and the requirement for an interdisciplinary team were highlighted. 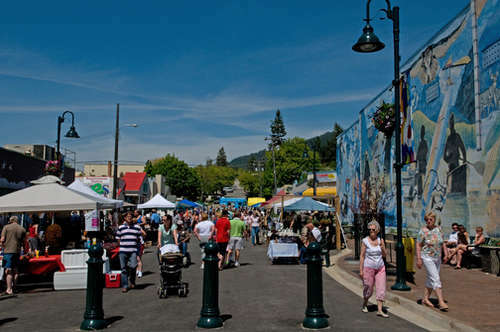 RDN identified needed resources and innovative concepts for a study that will help inform a more thorough and detailed discussion of Village Centre options for the OCP review. The process also increased capacity of the staff and community to explore the benefits of compact, complete rural community landforms; and to consider technology that will allow for appropriate localized costs, and will support water and resource conservation.